TOLD Development Company has served as a preferred developer for several national retailers across the country. Walgreens, for whom we have developed more than 100,000 square feet of stores over the last 5 years, is one of these retailers. TOLD established this relationship by having the ability to offer a wide range of specialized services designed to support Walgreen’s expansion and growth in an efficient and professional manner. At TOLD we have in-depth knowledge of real estate markets across the nation and a thorough understanding of the complex nature of retail real estate development. 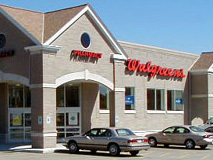 Our service capability for Walgreens includes strategic market evaluations, site identification and acquisition, entitlement, financing, and construction. 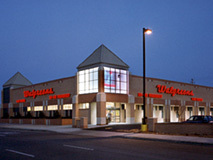 Throughout the process our focus is to find and deliver the best possible solution for Walgreen’s real estate needs. TOLD is always looking for the ideal site for Walgreens so please contact us at (952) 278-9000 should you have a site of approximately 75,000 square feet at a signalized intersection in trade areas of 20,000 people or better. 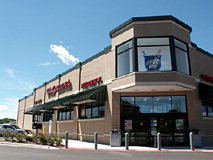 Below is a list of several Walgreens stores we have developed.